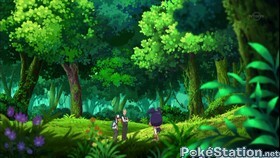 Sewaddle and Burgh in Pinewheel Forest! 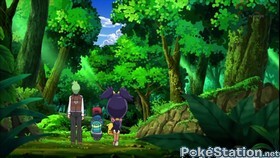 While traveling through the vast Pinwheel Forest between Nacrene City and Castelia City, Ash and friends intend to stay on the path so that they wonï¿½t get lost. 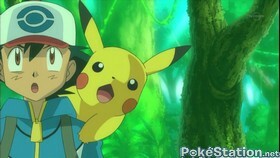 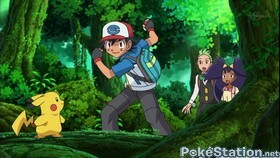 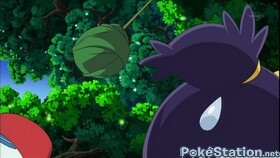 But when they come across a Sewaddle with impressive battling skills, Ash runs off into the woods to go after it, with the rest of the gang in pursuit. 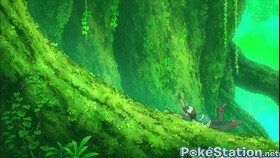 They soon lose track of Sewaddle, and they get lost in the process! 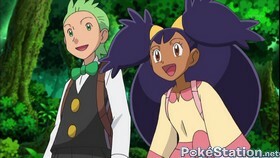 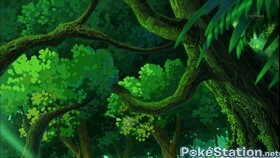 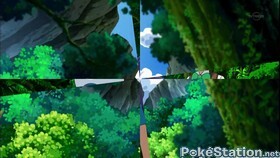 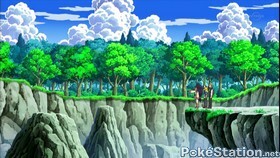 Iris suggests climbing a tree to get a better view of the land, and up on a high branch, they discover Burgh, the Castelia City Gym Leader, whoï¿½s also a renowned artist. 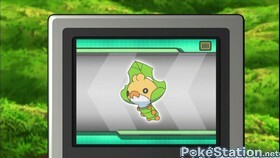 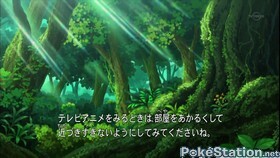 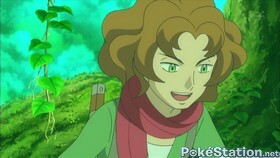 Heï¿½s been living among the forest Pokï¿½mon, trying to find inspiration in nature and get out of his creative slump. 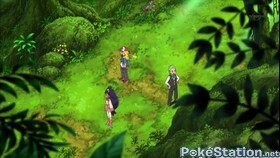 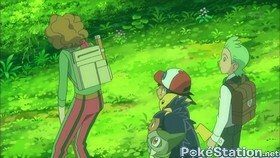 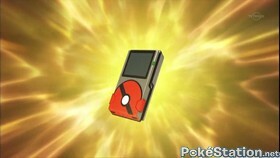 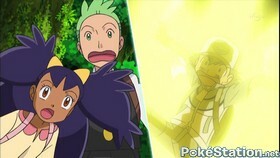 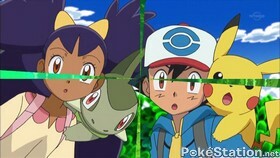 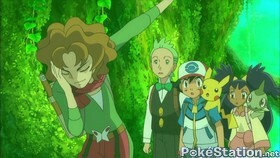 When Sewaddle reappears, Burgh tries to introduce Ash to it, which proves more difficult than the Gym Leader expected. 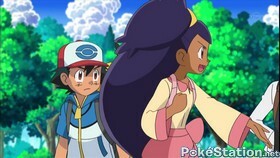 Sewaddle soon finds itself in a dangerous predicament, and Ash springs into action and saves the Pokï¿½monï¿½and to show its gratitude, Sewaddle decides to join Ashï¿½s team! 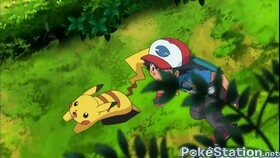 Burgh declares that Ashï¿½s unselfish rescue of Sewaddle has inspired him. 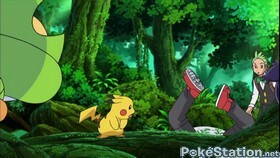 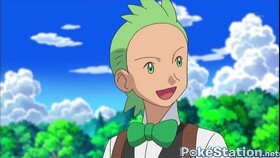 He bids our heroes farewell for the moment, but promises he will be waiting at the Castelia City Gym for Ashï¿½s challenge. 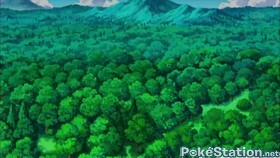 Back on the correct path, itï¿½s off through the Pinwheel Forest and on to Castelia City, with a new friendï¿½Sewaddle!